Mr Ho works with the Chairman and the Board in formulating and executing strategies for Starhill Global REIT. He works closely with other members of the Manager and the Property Manager to ensure these strategies are implemented. He is also responsible for the day-to-day operations of Starhill Global REIT. He has over 25 years of leadership and management experience with multinational companies in engineering, medical, infrastructure, and real estate. These include senior positions in the Singapore Technologies Group, Dornier Medical, Sembcorp Industries and GuocoLand Limited. Ms Cheong oversees the finance and accounting, as well as the investor relations and corporate communications functions. Ms Cheong has over 20 years of financial advisory, mergers and acquisitions and corporate finance experience, with over 10 years in the real estate sector. 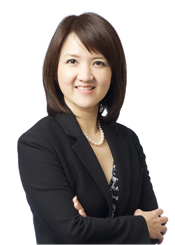 Prior to joining YTL Starhill Global REIT Management Limited, she was a vice president in MEAG Pacific Star Asia Pte Ltd involved in real estate acquisitions in Asia. Ms Cheong had nine years of investment banking experience with HSBC, NM Rothschild & Sons and Hong Leong Bank in Singapore. Ms Cheong graduated from Warwick University in the UK with a Bachelor of Science degree in Management Science. She is also a Chartered Financial Analyst (CFA Institute). 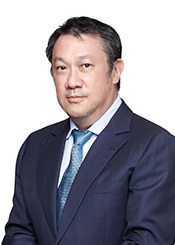 Mr Yeo is responsible for assisting the Chief Financial Officer in the finance and accounting matters of Starhill Global REIT including financial reporting, taxation, treasury, corporate finance and capital management. He has more than 10 years of experience in audit, accounting, statutory reporting, compliance and tax in Singapore and other regional countries. From 2000 to 2006, Mr Yeo was an auditor with Deloitte & Touche. Prior to joining the Manager, he was the financial controller of Sunshine Holding Limited, a China-based real estate developer listed on the Mainboard of the SGX-ST.
Mr Yeo holds a Bachelor of Accountancy degree from Nanyang Technological University in Singapore. He is also a non-practising member of the Institute of Singapore Chartered Accountants. Mr Tay is responsible for the management of the REIT’s portfolio. Prior to joining the Manager in 2018, Mr Tay spent 11 years with the Mapletree Group where he held various investment and asset management positions at Mapletree Industrial Fund and Mapletree Industrial Trust Management Ltd. He was responsible for evaluating and executing real estate investments in various countries, as well as formulating and executing business plans and asset enhancement initiatives, among others. From 2006 to 2007, he was with DTZ Debenham Tie Leung where he was with the forecasting team, carrying out econometric modelling and consultancy work. He started his career with the Singapore Land Authority in 2003. Mr Tay has a Bachelor of Social Sciences (Honours) degree in Economics from the National University of Singapore. 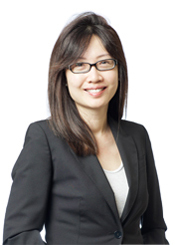 Ms Koh has more than 10 years of experience in corporate finance, advisory and mergers and acquisitions (M&A). Ms Koh is responsible for the sourcing, structuring and execution of acquisitions and disposals for Starhill Global REIT. She was involved in Starhill Global REIT’s IPO and its acquisitions in Japan, Australia and Malaysia, and Japan disposals. Prior to joining the Manager, she was with MEAG Pacific Star Asia Pte Ltd’s investments team, and spent four years with HSBC investment bank in the execution of regional M&A and advisory transactions. Ms Koh holds a Bachelor of Commerce degree from the University of Western Australia. 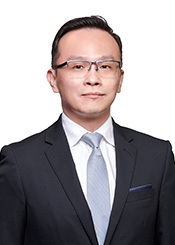 Mr Lam is responsible for legal, compliance and company secretarial matters of the Manager and Starhill Global REIT. 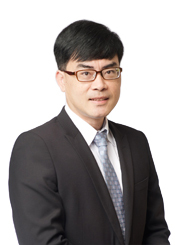 He has more than 20 years of experience in in-house legal counsel roles within SGX-ST listed companies and REITs. His broad experience includes corporate commercial matters in various industries including real estate, cross-border acquisitions and divestments as well as financing and regulatory compliance. Mr Lam holds a Bachelor of Law (Honours) degree from the National University of Singapore. Mr Kuah is responsible for strategic communication with Unitholders, potential investors, analysts and media as well as corporate planning. He has over 20 years of experience in the financial industry, including 10 years in the real estate industry. 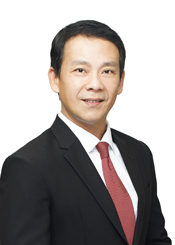 Prior to joining the Manager, he spent five years with CapitaLand Limited as Vice President of Investor Relations. Mr Kuah also held corporate banking positions at HSBC and Crédit Agricole Corporate & Investment Bank as well as investment analyst positions at various brokerages. 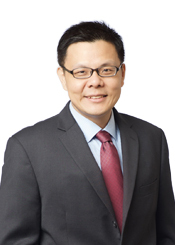 Mr Kuah sits on the Board of Investor Relations Professionals Association (Singapore). Mr Kuah holds a Bachelor of Science degree in Business Administration (Finance) from California State University, Long Beach, USA.